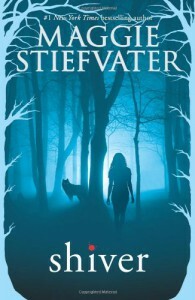 Shiver is a book that I didn't really pay much attention to when it first came out. At the time, I was still very much on the Twilight bandwagon, and the comparisons between Twilight and Shiver made me weary. And then, when I was over my Twilight phase, I couldn't really see myself getting into a similar story. Granted back then, I wasn't familiar with my beloved Maggie Stiefvater. If I had been, I would have picked this series up in a heartbeat. Naturally, now that I have ALL THE LOVE AND FEELS for The Raven Cycle and Stiefvater's SWOONY prose I felt compelled to try out the series, which might just ease the pain as we wait for The Raven King 's release. I'm delighted to report that Shiver managed to sink it's teeth into me and delivered even more than I had expected.